Much of this week's blog is inspired by Christian Watson of 1924us, a 24 year old designer-wanderer-branding guru-philosopher (and the hyphens go on and on...) He's a wizard. Christian uses his branding business and instagram to share his observations the same way I use my cooking business and All Good Things to share mine. One of his mottos is Venture Onward. I'm claiming it as my own this year. 2016 isn’t going to go down in history for many of us as that sweet of a year. It was made up of a lot of bittersweet moments and some that were downright sour. 2017 will not be some euphoric year of grandness. It will be like any other year; one of ease and hardships, trials and triumphs, one of blessings and lessons. Each year is another chapter of history made up of zillions of individual stories. And the good news is that we get to contribute to this history with our own personal 365 day journey. What’s your story going to be in the history of 2017? It’ll be a story that includes thriving as well as suffering, to be sure, but what we give weight to is entirely up to us. Oftentimes, we give the most power to the things that dissolve us. We hold on to the past like it’s helping us move forward. There is nothing we have to gain by holding on to anything. The month of December left my heart broken. I’m learning to acknowledge my feelings and then let them go, (kind of like a catch and release when fishing) and have just a bit of faith in the emotions that exist outside my circumstances. When I’m ready, I can release the despair to make room for the eventual happiness. Where we are now, is not where we end up. A Better World IS Just Around The Corner. So where do you want to end up? Healthy, happy, loved, successful, doing good in the world, making a difference… that’s my list. We all have finish lines, but what is today’s expectation? I have big lofty goals and dreams, but they all start with today. Everything I face today is practice for what I’ll face tomorrow or even fifty years from now. So who and how am I being today? Are these answers getting me closer to any of my finish lines? This amazing sign can be bought from one of my favorite companies, Best Made. We all have somewhere to be, someone to be with, some purpose, but it’s up to us to seek those out. We can have all the passion in the world, and we can be ready to head full throttle into any direction at any moment…but there is the paralyzing fear of failure, of disappointing someone, of being judged. So we put it in neutral. We idle. Ya know, failure, disappointment, and judgment are guaranteed to happen whether we’re trying or not. They’ll be waiting for us in any direction we choose. But so will adventure, discovery, and growth. Step on the gas, dear friends. Choose. Try. Venture onward. Live your story. The journey of our dreams is waiting for us. Here's to 2017, I'm wishing you all good things! 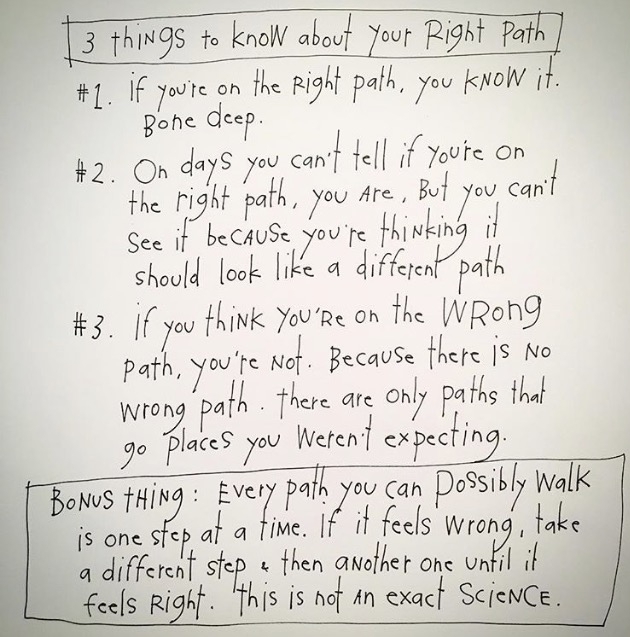 Wisdom from one of my favorite wordsmiths and artists, Brian Andreas. 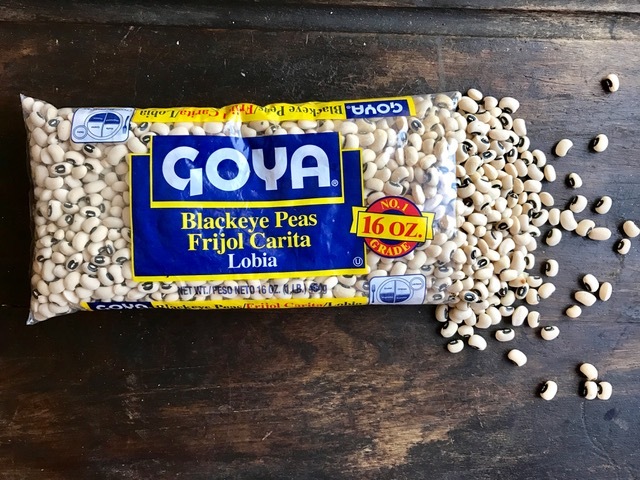 Black eyed peas are an important ingredient used in New Years Eve and New Years Day celebrations. They are thought to bring abundance and good luck throughout the year. Never one to shy away from luck and abundance, I adhere to this tradition of black-eyed peas. I found this recipe that seems totally modern while nodding to my traditional Hispanic roots. Add 2 tablespoons oil to the bottom of a slow cooker or crockpot. Add the onion, garlic, and spices, stirring. Add the bag of peas and 10 cups of water. Cook for 4 hours on high. Meanwhile, preheat oven to 400°. 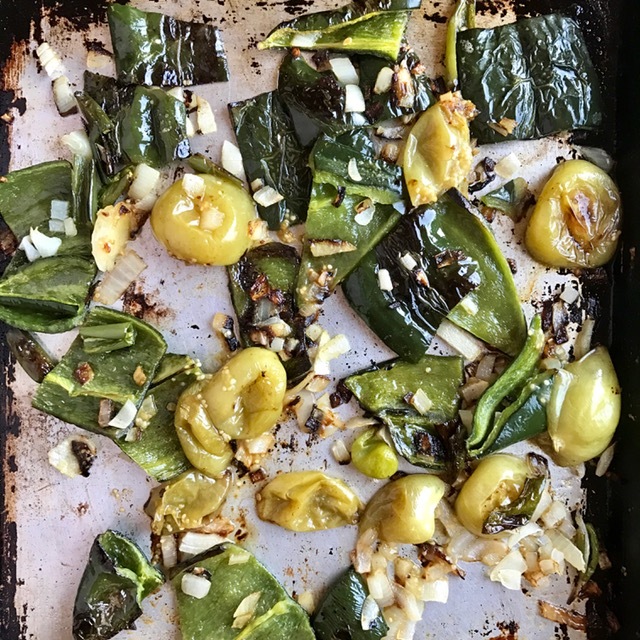 Toss quartered onion, poblano chiles, and half of serrano chiles and tomatillos on a rimmed baking sheet with remaining 1 Tbsp. oil; season lightly with salt. Roast, tossing occasionally, until lightly browned around the edges but still vibrantly colored, 15–20 minutes. Let cool.